My local biocoop organic shop has put another strangely coloured cauliflower on sale. The top of the vegetable was very dark purple, nearly black, but the flesh inside and stalks were white. I made another soup and, being colour blind, I must admit I am baffled by its colour. 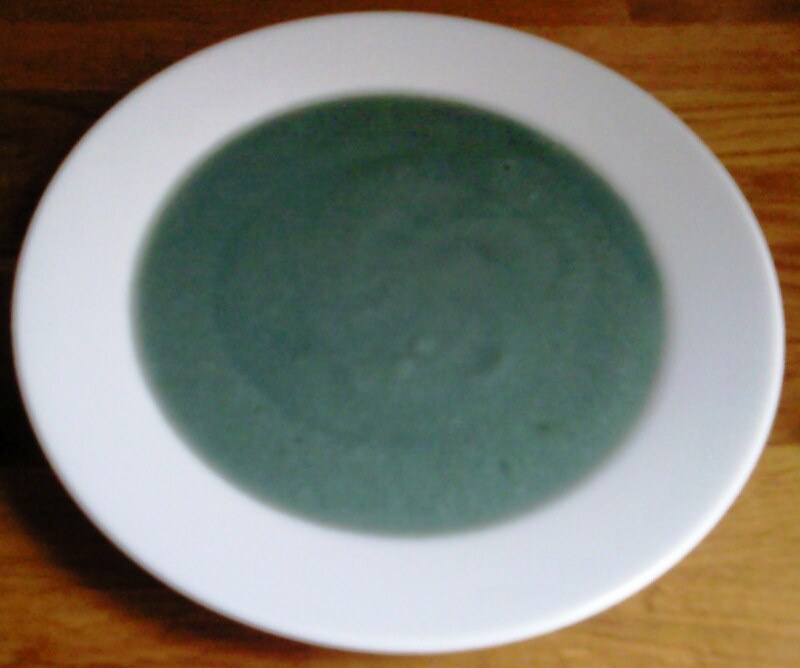 Can anyone name the colour of this cauliflower soup? If we could add some gloss to the surface, I'd then like to name it 'grey jade' soup.